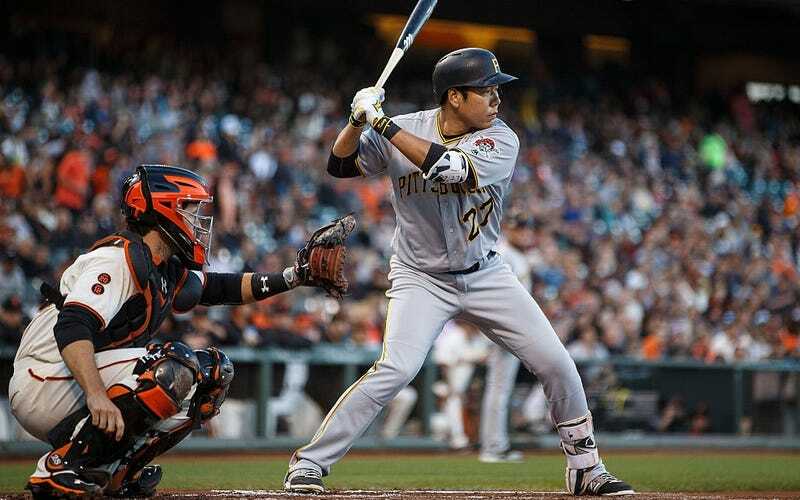 Pittsburgh Pirates infielder Jung Ho Kang has reportedly been denied a visa to the United States, according to Korean news outlet KBS. Kang has missed all of spring training at this point, and is now questionable to make it to the states for the 2017 season. Kang has been in South Korea resolving his 2016 DUI case, for which he admitted guilt. It was his third DUI since 2009. In 2016, Kang became the subject of an investigation into a sexual assault that took place in Chicago. The investigation is open, but the alleged victim has stopped cooperating, as is common in these cases. Kang was sentenced to eight months in prison for the 2016 DUI, but he was granted a suspended sentence for two years. The prison sentence will be dropped if if Kang does not violate the terms of his probation. KBS speculates that the prison sentence is the biggest factor in the denial of a visa. The report also adds that Kang “is suspected of drunk driving in a third country other than Korea and the United States” (according to Google translate). Pirates manager Clint Hurdle said on the radio this morning that he had the same level of knowledge of the situation as the public. The Pirates have not officially commented on the KBS report. The facts, as we know them, are that Kang still has not been granted permission to travel to the United States under a work visa. We continue to work with Kang and his representatives to present materials and information to the appropriate parties in the United States government that we believe establish that Kang should be permitted to travel to the United States under a work visa and we remain hopeful that such a resolution will be reached in the near future. We have no indication that Jung Ho has had a driving incident in a country other than Korea.